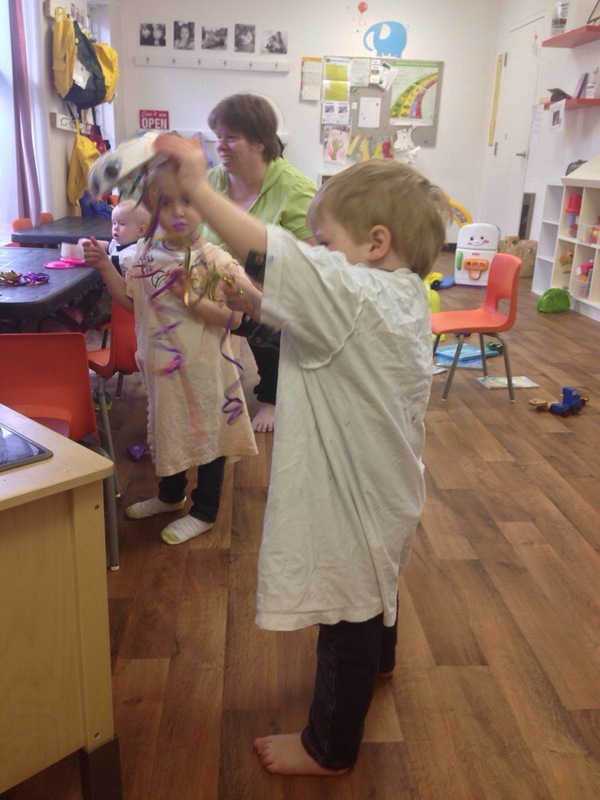 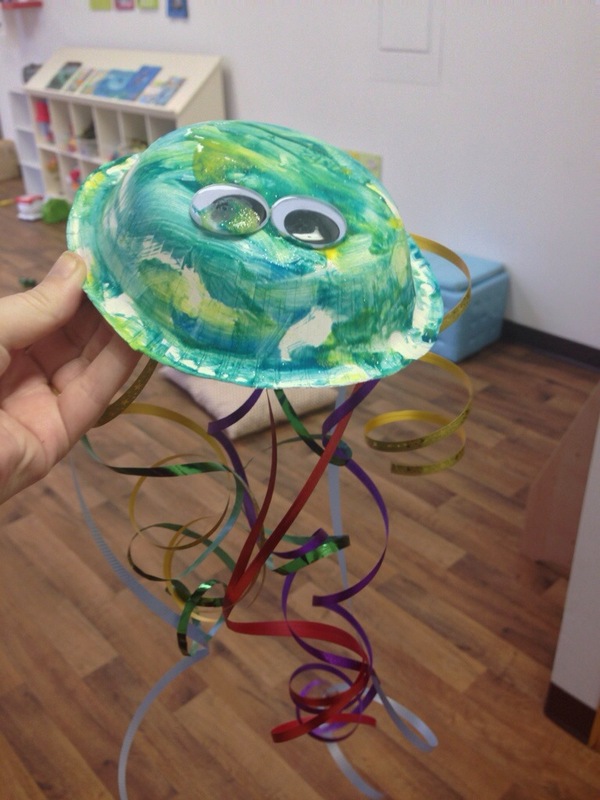 This week’s playroom theme was jellyfish. 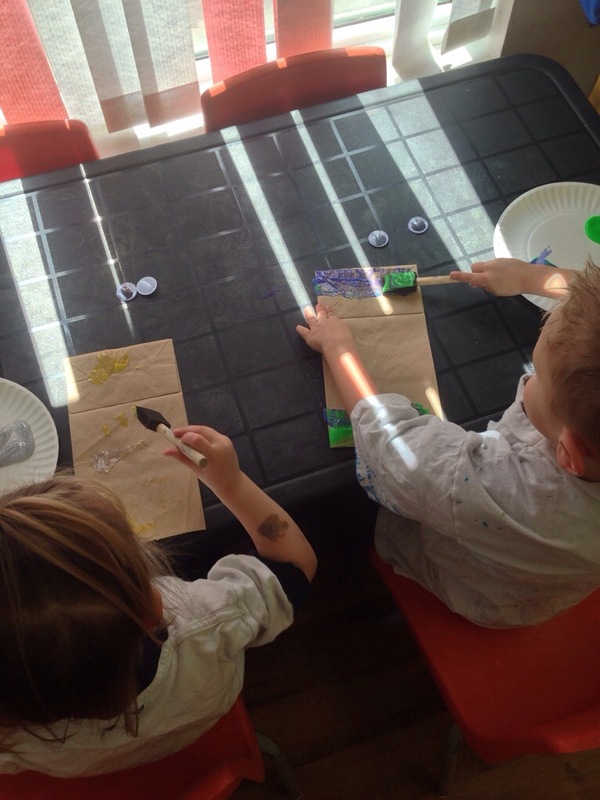 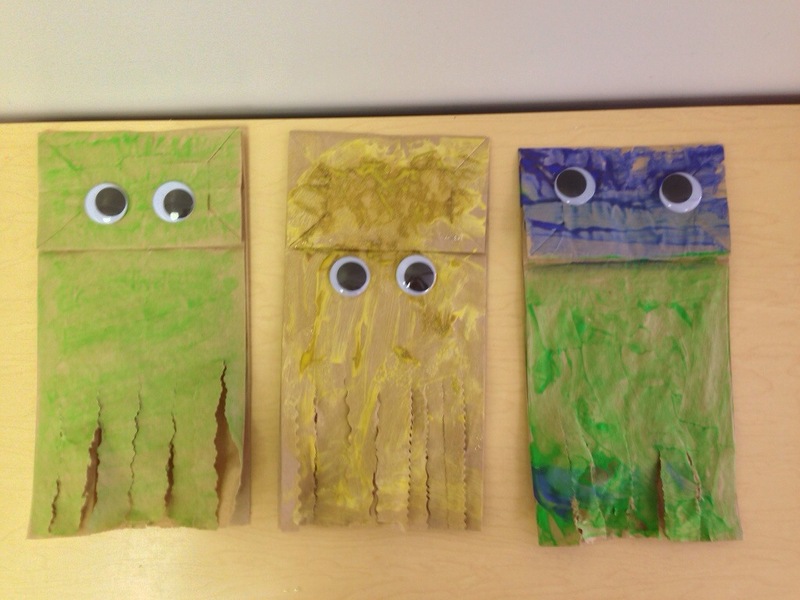 Paint a paper bag and use “fancy” scissors to cut the bottom. 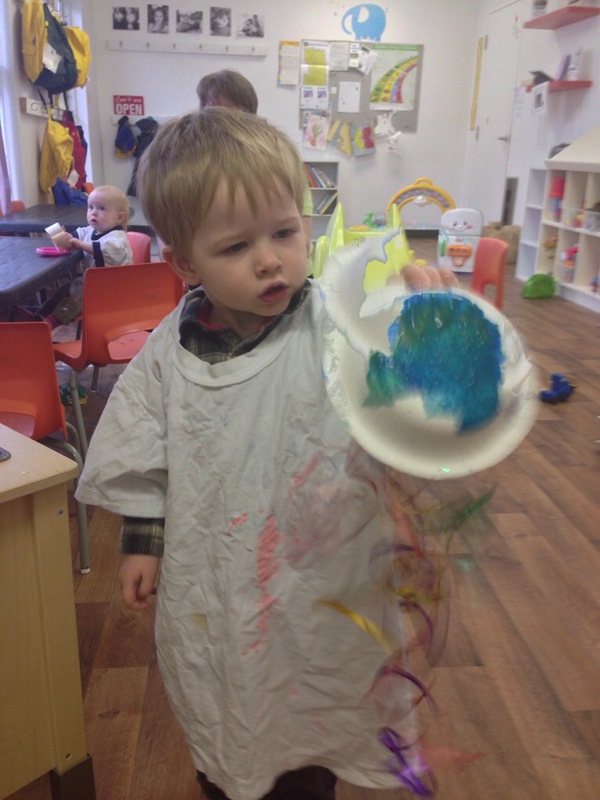 We had to use a blow dryer to dry the paint so we were able to cut the bags. 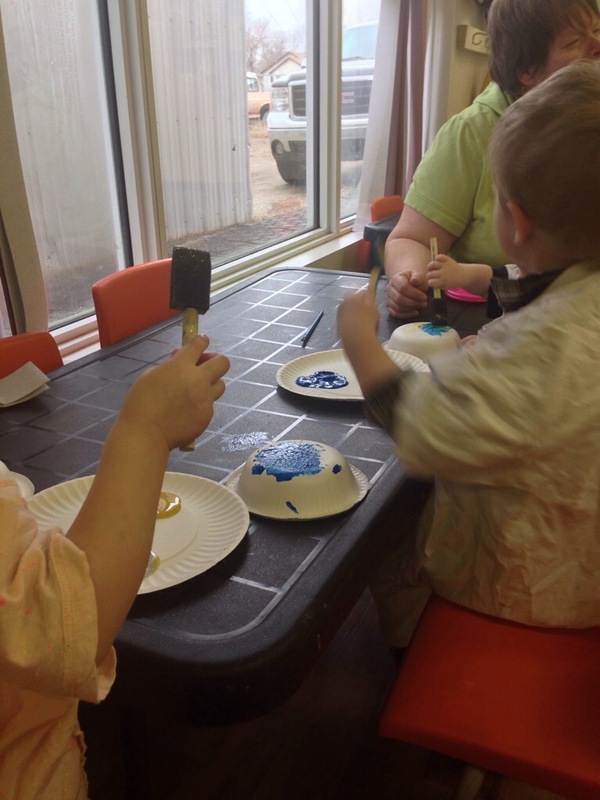 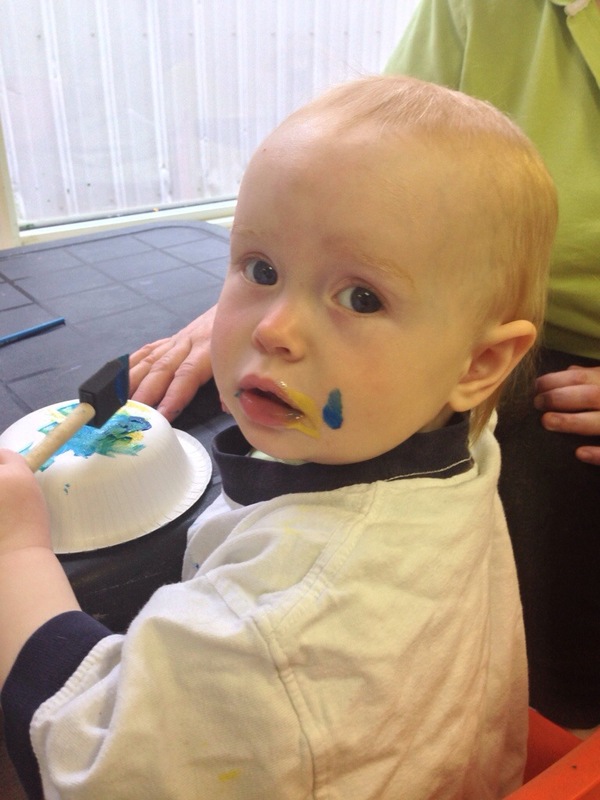 Paint a paper bowl. 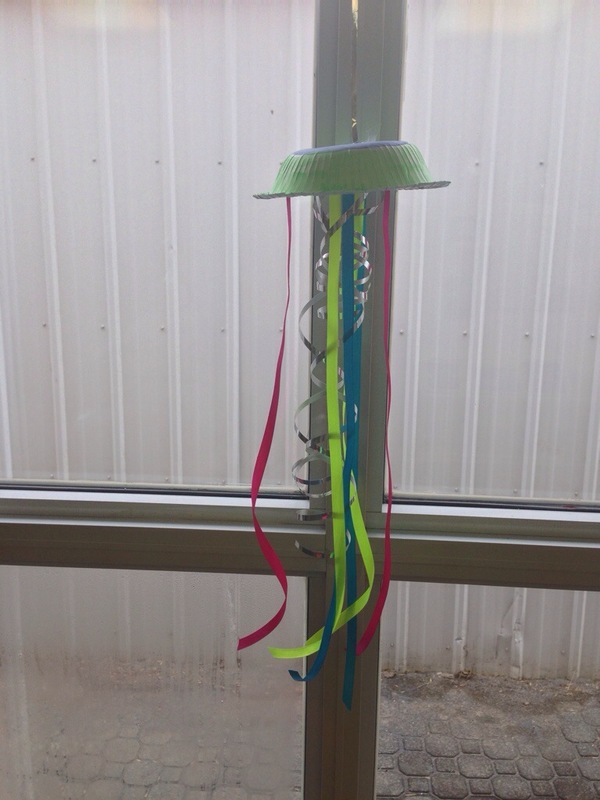 Add ribbons and eyes.